If you want to break into the sports industry (or advance your career in the industry), you must attend sports networking events where you can connect with others who already work in the field. 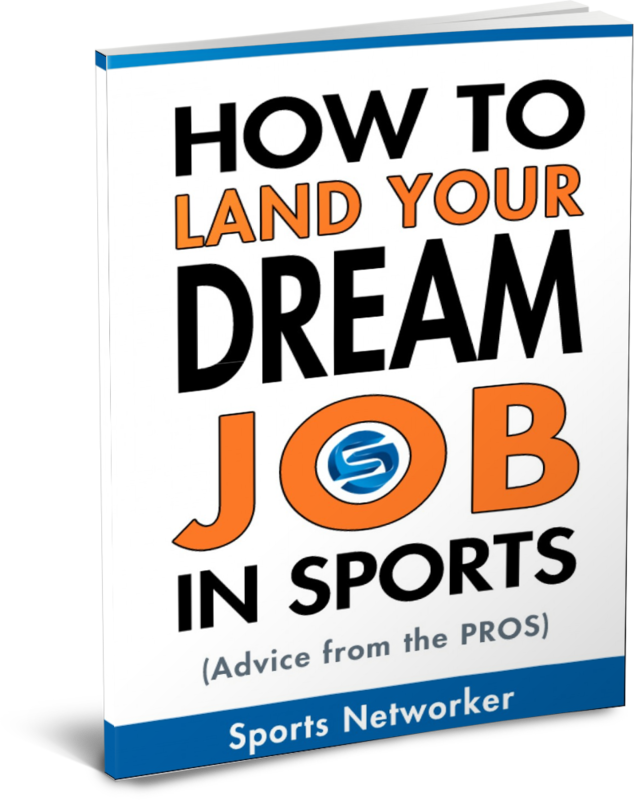 The sports industry is very tight-knit, and it’s estimated that over 70% of all jobs are filled behind the scenes through personal contacts and networking. Whether you are happily employed in the industry right now or looking to get your foot in the door, have a plan. Before going to any sports networking event, be clear on why you are attending. For example, as a student in college looking to break into the sports industry, I went to an event in order to meet a senior sports executive who was going to be a featured speaker. Before the event, I set a goal to introduce myself to him, even though this was way out of my comfort zone at that stage of my career. We ended up speaking for a few minutes at the event. Most importantly, our brief in-person conversation ultimately started a chain of introductions that landed me an interview (and full-time job) working in the front-office for the NBA’s Washington Wizards when I was only 21 years old. Research any key people who might be in attendance (i.e. featured speakers for the event or leadership from the organization hosting the function). Be prepared to ask each key person a few intelligent, personalized questions about their work or their opinion on a topic related to their career. While “small talk” is inevitable at any networking event, the best conversations should go beyond the weather or the latest sporting event. Asking great questions is one of the best ways to stand out and make a great first impression. Other than asking your name, the first question you will be asked at any networking event is, “So… what do you do?” You do not want to improvise your answer. Before any event, make sure you prepare a concise, clear, and compelling way to introduce yourself. Your “pitch” at a networking event should only be 5-10 seconds long (maximum). Shorter is better. Despite what many “networking experts” will tell you, an initial 30-second elevator pitch for yourself is completely unrealistic and will turn people off in a networking situation (save the longer pitch for a job interview). Same goes for a summary of your achievements. The best way to impress people is not by bragging. It’s by taking a genuine interest in other people, asking smart questions, making a great first impression with your body language, and by selling yourself subtly when people ask you additional questions. How long have you been involved with _____________, and how did you decide to get involved? How did you get your start in ____________ ? How did you decide that you wanted to pursue your current career? What projects are you most excited about for the next year? How do you see __________ changing over the next few years? How do you think __________ has changed over the last few years? What advice would you have for someone looking to break into __________? Many people feel uncomfortable at networking events because they show up with the wrong mindset. No one is going to offer you a job on the spot anyway, so why go in with such an unrealistic expectation? Rather than going to a sports networking event with the goal of getting a job or making a sale, just look at the event as a way to meet new people, to learn, to exchange ideas, or to gain advice. Going to a networking event looking for a job/sale is like going to a bar looking for your next boyfriend or girlfriend! It puts unnecessary pressure on you, and this apprehension will have a negative impact on all of your interactions. Break the ice through the host. Introduce yourself to the person in charge of the organization hosting the event. This person probably knows most of the people in the room, and she is likely a very friendly person who would welcome the opportunity to introduce you to others. Break the ice through food. Look for an opportunity to break the ice with someone grabbing something to eat or drink. Break the ice with someone else who looks lost. Look for someone else who also seems to be alone and walk over and introduce yourself. Break the ice through a group. Walk up to a group of three or more people and ask if you can “join” them. You have to use good judgment, however. If the group of people are huddled very closely in a tight circle, take that as a sign that they are not receptive to including other people. Break the ice before you arrive. This is my favorite way to break the ice. You email key people before the event and say why you are excited to meet them at the event. No one ever does this, so it’s a great way to stand out, especially if you want to connect with a speaker who will be swarmed with people trying to meet her at the event. Avoid alcohol altogether, or stick to one drink maximum (assuming you are of legal drinking age). More than that will only increase your chances of doing something unprofessional. In addition, unless you attend a breakfast, lunch, or dinner where it would be rude not to eat the meal being served, never eat anything at a networking event. There are too many things that could go wrong. For instance, you could spill Swedish meatball gravy on your shirt, or you could destroy your breath by eating some spicy crab cakes. Gross. Many people go to networking events, participate in conversations with others, grab a few business cards… and then they do absolutely nothing! This is among the biggest networking mistakes you could make. Make it your practice to follow up within one business day whenever you meet someone. Otherwise, it’s easy to forget to follow up, and it’s easy for people to forget you. At the minimum, send thank you notes to anyone who gave you career advice, and connect with your new contacts on LinkedIn.com. If a next step makes sense at this time, request it immediately. As you can see from this article, your “success” at a networking event depends largely on your preparation before the event and your follow-up after the event. You don’t need to be the smoothest, most dynamic person to be a great networker. You just need a great attitude and a smart strategy. P.S. 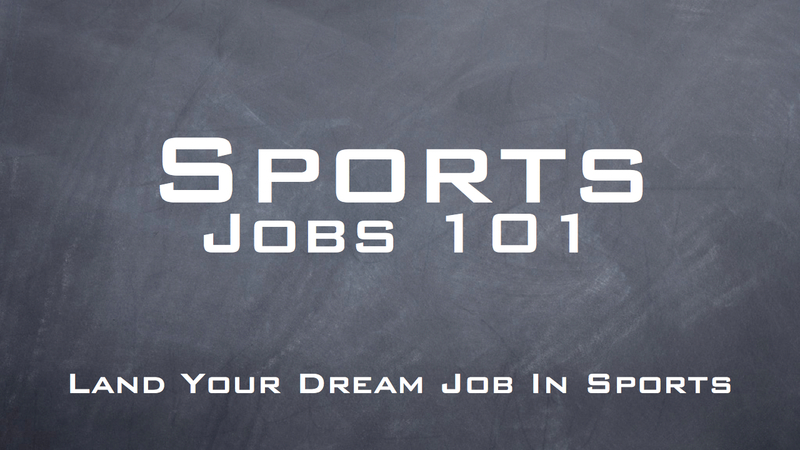 Looking for a new job in the sports industry? Click here for a FREE video series on how to get your dream job. You guys know what are the process to clear clipboard history ? 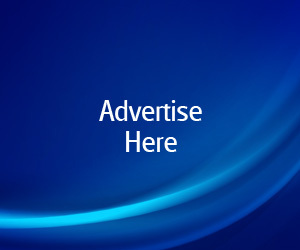 If you don’t have any knowledge then simply get this homepage where every steps is clearly explain and you love to learn everything about full information of clipboard without paying anything.